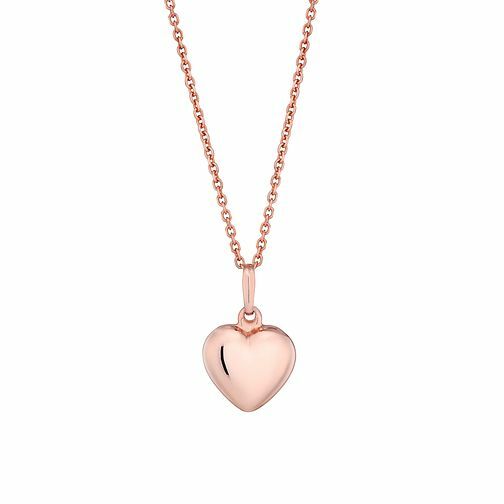 Dainty and romantic, this silver and rose gold-plated pendant features a three dimensional heart charm held by a delicate chain. Team with jewel tones for the perfect on trend Spring look. Silver and rose gold-plated heart pendant is rated 4.5 out of 5 by 2. Rated 4 out of 5 by Anonymous from Very nice piece of jewellery. Good quality and nice looking. Service was good picked up from local shop. Only problem was the pre written card I paid for was blank. Rated 5 out of 5 by Anonymous from Very pretty I chose this as a valentine's gift for my girl and she loved it. It's very dainty, the rose gold finish looks great and I can really recommend this product.